From the time the Stooges first broke onto the music scene in 1967, Iggy Pop was rock's most remarkable one-man freak show, but by the mid-'70s, after the Stooges' messy collapse, Iggy found himself in need of a stable career. The rise of punk rock finally created a context in which Iggy's crash-and-burn theatrics seemed like inspired performance rather than some sort of cry for help, and in 1979, with everyone who was anyone name-checking Iggy as punk's Founding Father, he scored a deal with Arista Records, and New Values became his first recording since the new rock gained a foothold. These days, New Values sounds like Iggy Pop's new wave album; while former Stooges associates James Williamson and Scott Thurston worked on the album, the arrangements were dotted with synthesizer patches and electronic percussion accents that have not stood the test of time well at all, and the mix speaks of a more polite approach than the raw, raging rock of Iggy's best work. But the growth as a songwriter that David Bowie encouraged in Iggy on The Idiot and Lust for Life is very much in evidence here; "Tell Me a Story," "Billy Is a Runaway," and "How Do Ya Fix a Broken Part" are tough, unblinking meditations on Iggy's war with the persona he created for himself, and "I'm Bored" and "Five Foot One" proved rock's first great minimalist still had some worthy metaphors up his sleeve. 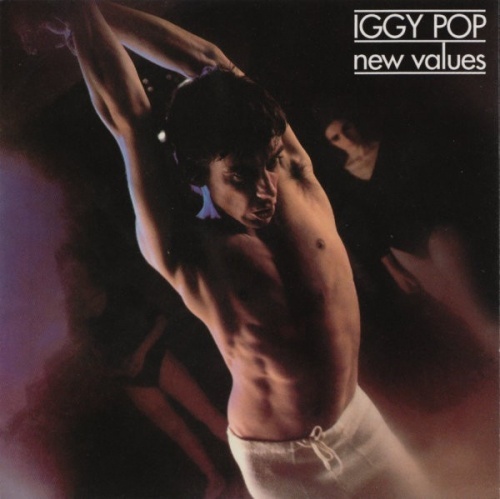 If New Values wasn't a great Iggy Pop album, it was a very good one, and proved that he had a future without David Bowie's guidance, something that didn't seem so certain at the time.